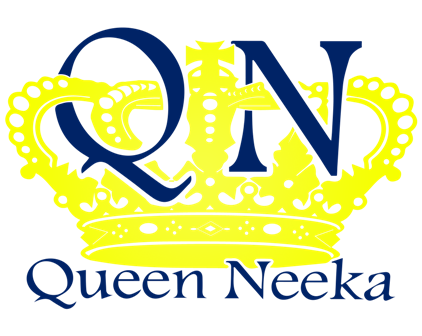 Queen Neeka: PRINCESS KATE AND FIRST LADY MICHELLE, QUEEN LATIFAH, VICTORIA BECKHAM. 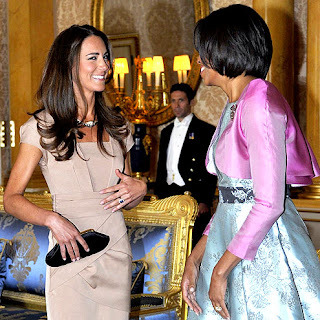 PRINCESS KATE AND FIRST LADY MICHELLE, QUEEN LATIFAH, VICTORIA BECKHAM. In their first visit to Buckingham Palace since the wedding, Michelle and Kate got a chance to catch up and share a laugh. The president and his wife are staying at the Palace for the first time. Queen Latifah Unveiled her new line on HSN, question why she look so frumpy, Ok queen its been a while since we seen you acting and in the lime light but in gonna have to ask you to still keep up your appearance, SMH. Victoria Beckham covers her baby bump as usual as she supported her friend Simon as he got his star on Hollywood Boulevard, he is responsible for the "Spice Girls" and "American Idol", her son Brooklyn accompanied her as well. side bar I really hope she is having a girl, three boys is enough.